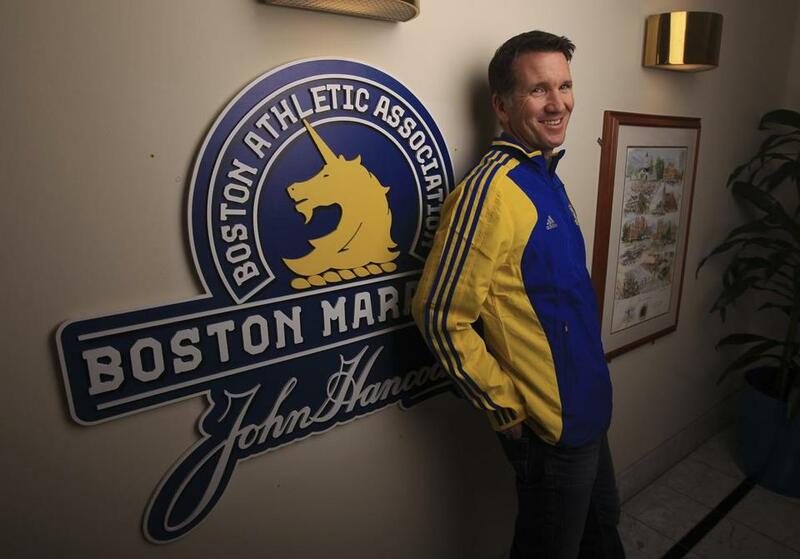 Coaching the Boston Athletic Association’s new elite group, Terrence Mahon sees the city as a place to train future Olympians. The purpose of the BAA high-performance elite team is to dig in and focus on creating a national-caliber and, hopefully, a world-class-caliber team that lives and trains in the Boston area. One of the most important factors that came into my decision to take on this new coaching role with the BAA was the Marathon bombings in April. It was an event that shook up every runner I know. I hope that we as a team can be a part of the healing process as we look to set up a foundation for years to come. It will be a foundation more than just of brick and mortar, but one of the human spirit. I’m open to working with any athlete, male or female, from the 800 [meter] up toward the Marathon. If we have the opportunity to bring in a kid who’s a phenomenal 800 runner or a great steeplechaser, we’re not going to say “No” because he or she runs a specific event that doesn’t necessarily lead toward the Marathon. With Boston, you don’t have altitude, but you have phenomenal places to run. You’ve got a very good infrastructure in terms of all the indoor and outdoor tracks and medical facilities and a phenomenal running community that’s hugely supportive of its own. Probably the biggest negative is dealing with the winter. I look at what athletes bring to the table — their goals, their needs, their strengths and weaknesses. It’s the very opposite of a cookie-cutter approach. At the same time, I understand there is a powerful dynamic in training like-minded individuals and the camaraderie of a good team. It’s blending both of those worlds. Every athlete that we’re going to recruit will be a true professional athlete, meaning that this is the sole thing he or she does. So, it’s not for someone who’s working 40 hours a week but still wants to try to make the Olympic trials. Our goal all along has been officially opening our doors January 1 with a handful of athletes who are already professional. LOOKING AHEAD The next BAA races are a 5K on April 19 and the Marathon on April 21.